The latest film from acclaimed director Michael Mann is a timely thriller that benefits from the recent media attention surrounding hacking. 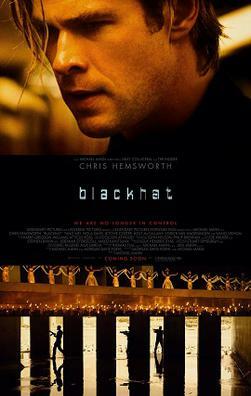 Starring Chris Hemsworth as a roguish criminal who is brought out of jail to aid the authorities in capturing more dangerous hackers, ‘Blackhat’ features some of Mann’s trademark style, but it struggles to really sell the importance of its premise. The central issue resolves around the premise and the simple fact that it’s difficult to drive intensity and suspense from characters looking at computers and explaining what’s happening through lengthy exposition sequences. Mann does try to bring this to life by employing some interesting techniques to visualise the situation, such as using the camera to shoot along wiring to show the transfer of money or the manipulation of data, but ultimately he struggles to bring the film to life. The decision to keep the villains out of the picture for the first hour of the film make it tougher to get into the conflict, with the faceless nature of the criminals leaving their motives unclear for a large part of the running time. This contributes to the slow beginning with a lot of setup and very little payoff. The second half of the film does improve significantly once we are introduced to one of the main villain’s henchmen, led by Ritchie Coster’s Kassar, and the stakes start to feel real for the first time. A large part of why this works is because it drives action and momentum into the plot and this leads to several terrific shootout sequences which are as exciting as we’ve come to expect from Michael Mann. The overall masterplan from the villains does feel a little too Bond-esque for a film that purports to be a gritty thriller, but it almost works because ‘Blackhat’ had finally started to grip me by this point as we moved away from computer screens and onto the streets. Mann’s use of locations is another strong selling point, with some great shots of the Hong Kong skyline and strong direction throughout the city in the action sequences. Hemsworth is a solid lead and he does the best he can with a fairly bland character, but the film doesn’t make the most of a strong supporting cast, with Viola Davis’ FBI agent particularly underused. There’s also the question of the romantic angle which feels a little rushed and forced within the time confines of the narrative, rather than a natural development between the characters. The premise of ‘Blackhat’ is timely and Michael Mann’s strong back catalogue threatened something special, but ultimately this cyberthriller suffers from the same problems as previous films in this subgenre in that it struggles to overcome the difficulties in making cybercrime as gripping or as exciting as a standard thriller.